My wife and I have been in the property management business for almost 40 years. Throughout our careers we have heard and seen almost everything a tenant could throw at you. Some of the tenants tricks can be costly or cause problems if not caught in time, so I thought I would share some of my experience in catching these issues. Tenants looking for rentals that have qualifying issues, will usually try to talk directly to owners of rental property rather than go through a rental management company. They look for owners advertising their own properties because they know owners will not be as thorough with the screening process as a professional manager. Credit checks, eviction records, and criminal checks are not as available to individual owners as they are to professional management companies. Beware of pushy applicants wanting to pay cash and move in immediately before there is time to check references or credit. The application process is another area too be cautious. Of course it is easy for a tenant to falsify information, so the application must have a statement that voids the lease if the information given is later found to be false. Ask for 5 years of previous rental history and look for voids or inaccurate and unavailable references. Applicants will leave unqualified roommates, pets or family members off of the application with the intent of moving them in after the lease is signed. Of course this is a violation of the lease, however, when checking references make sure to ask about pets and who lived with the applicant in the previous rental. During the tenants occupancy damages caused by the tenant are often hidden. Periodic inspections of the property are necessary and should be done discretely. Tenants have rights of possession when leasing and it is unlawful under normal conditions for an owner to visit the property without the tenant’s permission. When you call and let the tenant know that you are coming to check on the rental, they can temporarily remove an unauthorized pet or roommate, conceal certain damages, and clean up before your arrival. Driving by from time to time and having maintenance technicians inspect for you when performing repairs can often catch a tenant off guard too reveal damages or pets. When driving past your rental, look for extra vehicles, broken blinds and the condition of the lawn. Unauthorized cars can mean extra people living in the unit. Broken blinds are often caused by pets and if a tenant is not taking care of the outside they most likely aren’t maintaining the inside. When a tenant moves at the end of the lease make sure the power and water are left on until the final inspection has been completed. Tenants will turn off the utilities to hide damages. Make sure too test disposals, dishwashers, plumbing and sprinkler systems. Dark rooms can make it hard to see damaged walls and flooring. If there has been a pet, it is a good idea to hold the distribution of the deposit for at least 10 days to allow time for hatching fleas and disguised odors to show up. An experienced property manager will qualify a prospective applicant and prevent dishonest tenants from taking possession of your rental. Their experience with maintenance, Landlord/Tenant Statues and financial issues are also valuable to the protection of your rental investment. Our company is a member of the National Association of Residential Property Managers (NARPM). As members, our company and managers are able to keep current with industry technology and new management products by attending conventions, educational seminars, and the NARPM monthly magazine “Residential Resource”. After almost forty years in this business, it’s not always easy to teach old dogs new tricks, but we are always amazed at the advances in new technology and software available to Professional Property Managers. 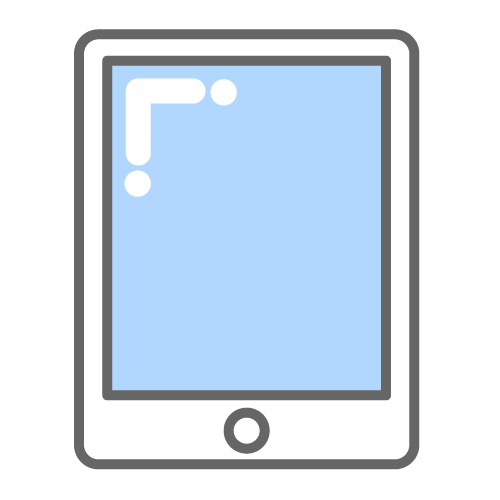 Web based software has allowed our owners and property managers to access information on their properties through cell phones, iPads and home PCs. The latest maintenance software provides documented maintenance, inspections, and repairs with pictures and invoices for the life of a rental. This information is instantly retrievable by date, address or name. Phone apps let property managers answer their personal cell phone using the office number. They can stay in contact with the office through instant messaging and retrieve and send information pertaining to a rental property without having to sit at a desk in the office. Security and tracking apps make it much safer for agents in the field showing property. Electronic banking has revolutionized the collection of rent and the distribution of owner’s proceeds. Tenants can pay rent on line with direct deposit or even use a credit card and owners rent proceeds are sent electronically straight to their bank account. Owners are able to access statements, invoices and tax information using their own personal portal. This gives them real time data on their rental property and a constant connection to their property management company. The use of web based software also allows for unlimited data storage and backup in other locations throughout the country. This makes keeping large photo files and data no longer a space issue. Going paperless was always a fear, but as I become accustomed to it, change is great. Applications, leases and management agreements are completed online through email and “Docusign”. All this creates a legal document that can be retrieved at a moment’s notice and signatures can be collected at any location with a computer. My Wife and I are fortunate to have our children and their spouses and many millenniums working for us. They understand the day to day changes in the internet technology and keep our Business current. As Licensed Real Estate Professionals, we are required to take continuous education courses to keep our licenses active. But as Professional Residential Property Managers, it is great to have an organization such as NARPM to help us keep up to date with the industry and provide the tools to be the best at what we do. Keeping up with new trends and information pertaining to rental property is important to Professional Property Managers to help them better manage their inventories and serve the owners that employ them. Contact your local REALTOR or Professional Management Company to help you with your rental investment and keep you up to date. Assuming is the most common mistake tenants will make when renting. Making sure that everything pertaining to the rental experience is in writing will remove the guess work. 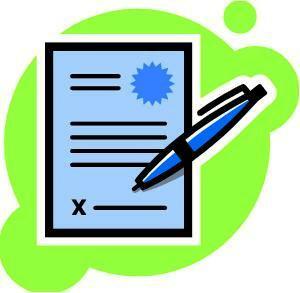 Tenants not being honest when filling out their rental application by falsifying information will jeopardize the lease and subject themselves to eviction. Not including all those who will be living with them or not disclosing pets will almost always result in an eviction if it is later discovered by the landlord. Not disclosing criminal convictions or falsifying employment and rental history can be reasons for an application to be rejected when screened by landlords. Always be upfront and honest when completing the rental application. There is usually a fee required with the application and it will not be returned if false information is given. Read the lease and be aware of special clauses or restrictive covenants for the property you are planning to rent. If it is a no smoking unit assuming you can smoke on the porch can cause problems. If you have an RV or boat that you assume can be parked in the driveway or on the grass, think again and read the covenants of the neighborhood you are moving into. Finding out after the move can cause problems and extra expense if you have to rent additional storage space. Always document the conditions and damages of a rental property at the time of move in. A huge mistake is assuming the landlord knows about repairs and issues with your leased unit. Not taking pictures and documenting in writing conditions at move in will result in deposit disputes when you move out. Always notify your landlord of needed repairs. Using E-mail will establish a documented trail of communication. Any damages caused by the tenant, not initially documented, will be the responsibility of the tenant. Sometimes tenants think because a rent due date falls on a weekend or a holiday that the rent can be paid late. Rents are due as stated in the lease and late fees are enforceable leading to eviction if not paid. Many tenants hear stories of the eviction process taking months. The truth is, if done properly, only 20 days before a sheriff will show up with the landlord and physically move the tenant out. As a tenant with a legal lease, you have legal possession of the property subject to the rules and conditions of the lease. The Florida Statutes protect your rights as a tenant and restrict certain actions of the landlord. Questions regarding these statues can be found on the internet or by consulting an attorney. Tenants often question an owner’s right to enter their home resulting in conflict. The law, with the exception of an emergency, requires the landlord to notify the tenant prior to coming to the property. A tenant is obligated to give a landlord reasonable access, however, reasonable is not interpreted as being a pest. Don’t assume, be honest, keep communications open between tenant and landlord, document and read your lease to ensure a pleasurable rental experience. Check out the attached Hurricane Preparedness Handout with information sourced from Escambia County Division of Emergency Management. Don't wait until a storm comes to get prepared and have a plan! We want to bring awareness to being prepared for hurricane season. 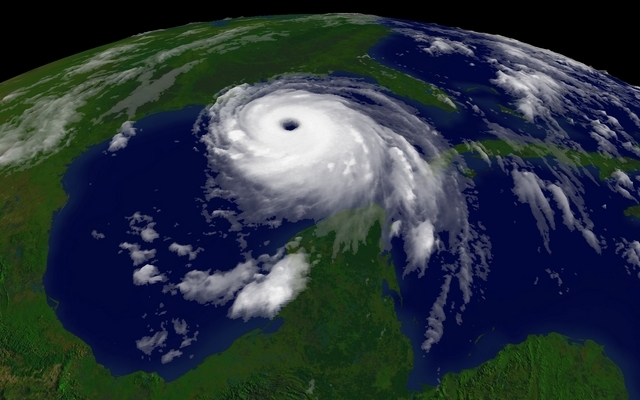 It has been over 10 years since our area last saw the effects of a major hurricane. Many new residents in our area have never been through such a life and community altering event. For area residents that have been through such a catastrophic event it is imperative that we avoid having “storm amnesia” on what is needed to be properly prepared for such an event. We are 22 days into the long, 6 month hurricane season and there have already been 4 named storms. While we hope the Gulf Coast does not have to face a major hurricane the reality is there will be more than just 4 named storms this year. Do not wait until one is headed our way to get prepared. Have a plan for your family, pets, business, home, etc. Below are a few websites that offer an abundance of invaluable resources and information that can help you be prepared before, during, and after a storm. Most leases place the responsibility of routine pest control on the tenant. 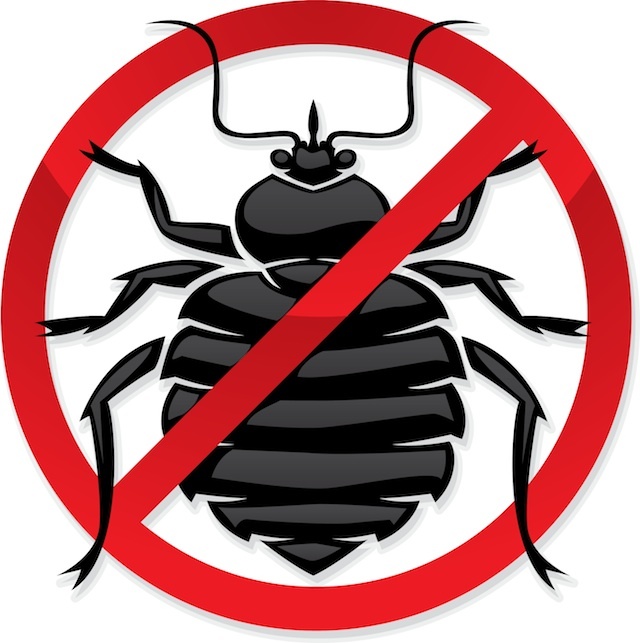 When a tenant moves into a property it should be free of roaches, fleas and ants. After 30 days of occupancy, routine control of these pests becomes a tenant issue. Some owners of rental property include pest control as part of the lease which places the control on the pest control company, however, a tenant neglecting to help prevent pest can put the liability back on themselves. Lawn pest control is often included by an owner of rental property as it is not considered routine in this area. The complexity of controlling the various bugs that can affect and kill lawns and vegetation is best left to professionals. Tenants with lawns not under a professional contract can be held liable if their lawns become infested and die and they do not notify their landlord of an issue with the lawn. Termite protection is the homeowner’s responsibility. Most property on the Emerald Coast is covered by a termite contract and treatments and inspections are done professionally. Tenants should again report any signs of termite activity or swarming to their landlord. Water leaks, wood rot and sprinklers hitting the foundation contribute to termite activity and should be reported or repaired. Don’t be alarmed by swarming termites. They are harmless, die quickly and can be vacuumed or swept up easily. Unfortunately, roaches are a common problem in the South but can usually be controlled by spraying your rental with a routine pest control found in any grocery or home improvement store. Make sure areas under sinks and tubs are kept dry and food items are sealed and stored properly. Usually spraying the exterior foundation making sure to cover all outside openings (doors and windows) will keep pests from entering your home. Interior sprays can be used along baseboards and cabinets to control inside bug activity. Fleas are another common problem in this area. Those with pets increase the odds of acquiring fleas but they can also be picked up and brought inside on clothing and shoes. There are numerous flea prevention products available for pets at your vet or pet store. If a home becomes infested with fleas it is best to have a professional treat the problem. Mosquitoes have made the news lately with the spread of the Zika virus. The Okaloosa County Mosquito Control has been spraying but it takes everyone to help control the problem. Make sure there is nothing holding stagnant water outside your home. Open windows should have screens and protect yourself when outside with mosquito repellent or clothing. If you are a tenant, your responsibilities for pest control should be clearly understood and written as a part of your lease agreement. Any questions should be addressed with your landlord prior to taking possession of the property. Keep the rental clean and dry and always notify the landlord of any pest issues. Professional assistance is always available on the internet or through a local pest management company. Being in the rental management business has made us aware of the many people moving to this area that are not familiar with lawn pumps and sprinkler systems. This article is not meant to be a complete course on the subject but should provide basic information. Not all properties have pumps and sprinkler systems. Some small yards or planting areas are not large enough to justify the cost. Some local areas are not able to have a well due to rock or deep water tables or other physical restrictions. The type of well and pump can be determined by these restrictions also. Although it is preferable to have a well and pump (saving the cost of water), some sprinkler systems run off of municipal water sources requiring paying for the water on the monthly water bill. Lawn pumps are usually found near the house and are wired to a control panel with a timer. Depending on the size of the area to be watered, there are usually several zones or sections of the yard that are on a valve system allowing each section to be watered independently. 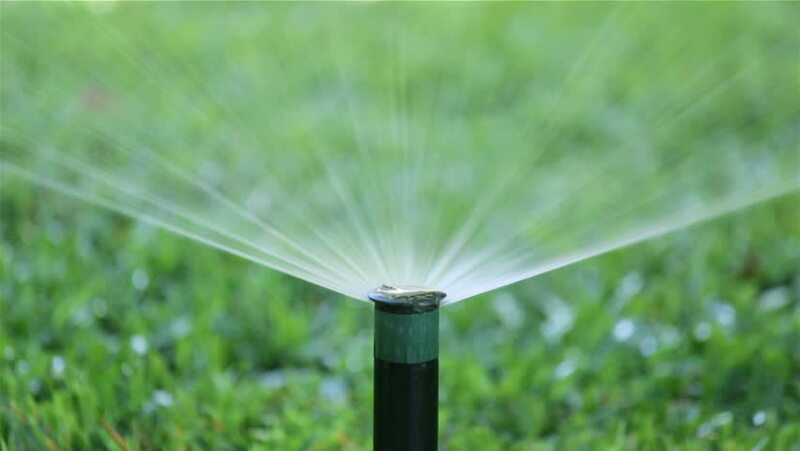 This allows maximum water pressure to the sprinkler heads in each zone and explains why there is usually several PVC pipes connected to the lawn pump. Timers can be programmed to water on specific days and times. They also control how long the sprinklers will run on each zone and are programmed to operate automatically but can be operated manually if extra watering is required. There are many types of sprinkler heads depending on the area to be watered. Most heads are pop-up that extend up from the ground when water pressure is applied. This keeps the sprinkler system out of sight unless it is operating. Once up they spray in patterns depending on the type. Some heads rotate to cover larger areas and can be adjusted to run from 5 to 360 degrees. Most of these heads are made of plastic and can easily be damaged if run over by a vehicle or lawn mower. They also can get clogged by sand or debris from time to time and have screens that need to be removed and cleaned to allow proper operation. Northwest Florida can experience freezing temperatures in winter requiring many lawn pumps to be shut down and drained in November. Pumps that have motors horizontal to the ground are connected to cast-iron housings that hold water. These housings will break if allowed to freeze. They have a drain plug or valve on the lower front used to drain the water. The pump will require priming when it’s time to start watering again in April. This can be done by running water back through the pump with a hose. Once the system is primed and the timer is programmed to operate the system, manually operate all zones and visually check heads for proper operation and coverage. Lawn pumps and sprinkler systems are common in our area because the sandy soil does not hold water and the warm often dry weather requires lawns and plants have additional watering to what Mother Nature provides. Additional information is available on-line or through the many lawn care specialists in our area. An understanding of the operation and maintenance of your sprinkler system will help maintain a healthy and beautiful yard. For more information on our property management services please be sure to visit our direct website, www.sundance-rentals.com. Also, for further instructions on how to prime your lawn pump please see the video below. Renting with pets has gotten a little easier over the past several years as the market has become more competitive and the pet population has increased. There are more rental units that will consider pets today than in previous years, however, pets can still present problems when trying to find your ultimate rental property. Many properties will consider pets with restrictions on type, numbers and size. Properties that are listed as “No Pets” rarely are open to negotiation. Many of the rentals in the local area are owned by military or people who intend to move back into their home upon retirement. If they don’t have pets or are allergic to them, they will not want pets in their home. Rental property owners are concerned about the cost of damage pets can cause to their investment. Urine and pet odors are very difficult to remove from carpet and padding which can be expensive to replace. Pet hair and dander cause allergies and can add to cleaning costs. Scratches from toenails on floors, doors and glass are also expensive repairs. Dogs can destroy lawns by digging and urinating on the grass. Apartment complexes, town-homes and rental units that are in close proximity to each other also present a problem for pet owners. Many of these units don’t have a common area available for pet waste. Waste disposal is a serious problem with any pet and in multi-family units, improper disposal exposes other residents to their waste. Noise from barking dogs is also a problem in apartment complexes as it can disturb other residents and affect their legal right to quite enjoyment of a leased property. Another serious pet problem is fleas. The warm climate and moderate winters we have in our area are very conductive to the flea population. When a pet moves out of a home, fleas will often lay dormant in carpeting until the next tenant moves in creating a problem for the owner. Most insurance companies have restrictions on rental home owner’s policies for what they classify as a dangerous breed of dog. They publish a list of these dogs and can cancel a policy if a tenant is found to have a pet on the list. The dogs on this list have cost insurance companies in liability lawsuits over bites or attacks and have resulted in some owners losing their insurance coverage. With all of the concerns about allowing pets in rental units, those that do allow pets often have restrictions and almost always require additional deposits or pet fees. Pet deposits and fees are usually non-refundable and increase with the number or type of pet. Tenants with pets can be required to sign special addenda to their leases covering pet damages and liability for their pets. Having a pet does not mean you will not be able to find a rental, but it might mean you will be limited in your selection. Pet owners are attached to their animals and it is hard for them to understand why someone would want to exclude a member of their family. Owners have a considerable investment in their rental units and not allowing pets takes some of the risk out of the rental process. I am often asked if it is a good time to invest in rental property. There are many factors to consider depending on an individual’s financial situation and where and how they plan to buy rental property. However, my reply is almost always yes if they are considering purchasing on the Emerald Coast. This area has always experienced a strong rental market. In the four decades my Wife and I have been in the long-term residential rental management business in Ft Walton Beach, we have never experienced a decline in business. The past housing bubble bust and BP oil spill had an adverse effect on property values and the short-term vacation market, but it has now turned around and doing better than ever. Property values are moving up and interest rates have stayed down making Real Estate attractive again. One of the most important factors in our strong and stable rental market is of course the Military influence on our economy. With two Air Force Military installations and the new Army Special Operations Post all with critical missions to the welfare and safety of our country, the area has been blessed with growth and prosperity. Our beautiful beaches, water and mild temperatures attract visitors and retirees year round. Many young military or students just starting out are content to rent without taking on mortgage debt. Coming up with a down payment or qualifying for a home loan has become more difficult and is forcing more into the rental market. The National Board of REALTORS has published numerous articles recently stating the decline in home ownership and the upward number of those renting long term. Builders and investors are looking increasingly at multi-family rental property. Rental activity is always strongest during the summer when school is out and families are moving. Most long term management companies have their leases expire or renew between June and August. The demand for rentals in a military community can fluctuate year round depending on unit and troop movements. We have experienced a steady demand for rentals almost constantly over the past year. Local rental inventories have increased as many homeowners are still upside down on their mortgages and have put their property into a rental program until property values catch up. Investors are buying local real estate, some of which is still in foreclosure, or priced to sell. Some contractors have been snatching up distressed property to renovate and flip for a profit, however, these are becoming harder to find. Those who are in a position to pay cash are at an advantage in negotiating a purchase price or financing options. Those fortunate enough to be able to invest in income producing real estate should be contacting their local agent to purchase investment property now. If you are already a homeowner and trying to sell but are unable clear enough to pay off the mortgage, it is time to consider renting. It is also advisable to contact an experienced Professional Property Manager to help make owning rental property a trouble free and profitable venture. Welcome to the new Sundance Rental Management Inc., Property Management Website!